MB: I started making films at the age of 15 and on my 16th birthday I wrote in my journal that I want to be a filmmaker and director. Through the years I have made that dream a reality by working at ABC, FOX, ESPN, and working on many films and documentaries. 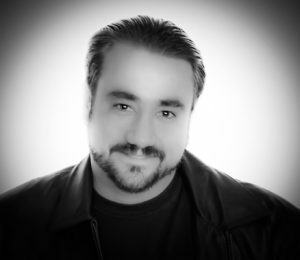 A couple of highlights of my life was working with Robert Rodriquez on the film The Faculty and working at an art gallery helping frame artwork for Richard Linklater, and Quentin Tarantino. These three filmmakers have been an inspiration and a big influence of my filmmaking career. MB: A Priest vs Zombies. Who will win? 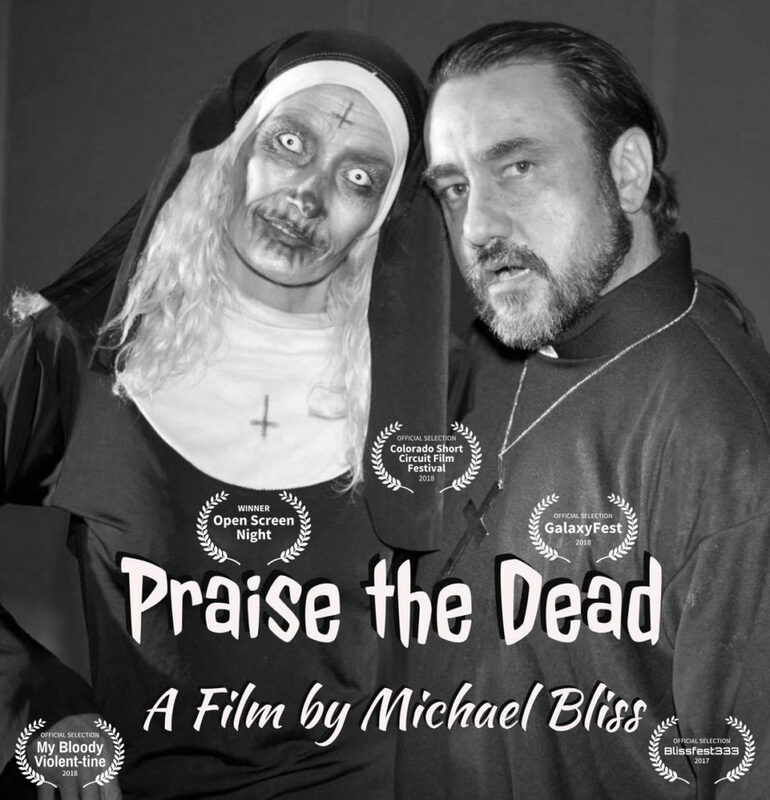 Praise the Dead has screened in four film festivals now and won an audience award at Open Screen Night. This film is in honor of George Romero. My plan with Praise the Dead is to develop this idea into a feature. MB: Restoring Historic Elitch Theatre and creating a cultural revival on the original grounds of Elitch Gardens. We are creating unity within our commUNITY, bringing love, peace, harmony and bliss to a festival about creativity and individuality. 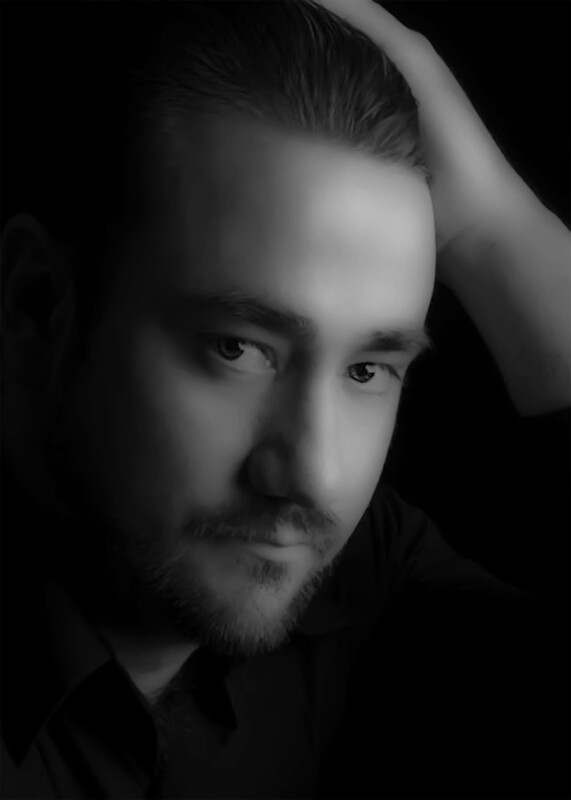 I am currently working on many film projects. Here is a few of them. The Troll – This is a story about a troll that gets lost in the city. Praise the Dead will screen Friday, February 22nd at 9:00 p.m. at The Bug Theatre as part of the Dark, SciFi & Horror Shorts block during the 2019 EFPalooza Film Festival. MB: On my 16th birthday I wrote in my journal that I want to be a Filmmaker and Director. Through the years I have made that dream a reality by working for ABC, FOX, ESPN, and working on many Films and Documentaries. I have also worked for and with many great directors like Robert Rodriquez, Richard Linklater and Quentin Tarantino. Currently I am creating live television shows at Denver Open Media and creating programming for Historic Elitch Theatre and helping with phase 3 of restoring the theatre. Q: What are we going to see at the Denver Animated Pixelshow? Has it screened elsewhere and what are your plans for it? MB: The Rose is a story about a lonely rose who ends up in a dream inside of the black hole sun and goes on a journey to find out who the rose really is. A Rose. Be Real. Be True. Be You! The rose is dedicated to my wife Bonnie Bliss. She is a rose in my life. The Rose has screened a few other Film Festivals and is currently airing on television. The Troll This is a story about a troll that gets lost in the city. 3 stories, 3 minutes long tied all together with a bridge. MB: The number 333 keeps coming up in my life. In one of my first films shot in the 80’s called The Asylum, 3:33pm pops up in the vide for one minute. It was an accident that we hit the button for the time to pop up on the video and now its time stamped on that film forever. 333 means that we are surrounded by Angels. I love Clowns and one of my earlier films is about a Clown. I dressed up as a Clown last halloween but stayed indoors because I was scared I might get shot. Q: Is there anything you’d like to say about Denver Animated Pixelshow and The Emerging Filmmakers Project? MB: Thank you, I am truly grateful for EFP and the numerous film festivals they put on every year. 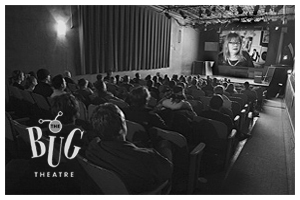 This is a great opportunity to get our films screened in a actual theatre and see them on the big screen. It is so great to be able to network with other filmmakers and get to know Denver’s finest talent . Thank you to the Bug theatre and the entire staff who puts on all these events. I am so honored to work with the founder Patrick Sheridan who has been a part of my family’s life and thank you Eileen Agosta the Director of Film Festivals – The Emerging Filmmakers Project. We love you all. The Rose will screen during the 6:00pm block at the 2017 Denver Animated Pixelshow on Sunday, October 15th at The Bug Theatre.